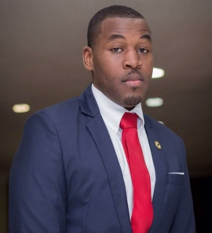 The University community is advised that Mr. Jeron Johnson, a Law and Criminal Justice major and Manager of Mingoes Men’s Basketball team, was elected as the Student Trustee to the Board of Trustees for University of The Bahamas during elections held on Tuesday, 9th October 2018. A total of 761 eligible students voted online via the EvaluationKit link. Mr. Johnson garnered 266 (35%) of the total votes cast. The UB Act 2016 prescribes that the Board’s composition shall include “one full-time student of the University elected by the student body”. Congratulations to Mr. Johnson on his election to office.